Most people I come across today have hair-related issues. Be it hair fall, dandruff, frizzy hair, lifeless hair, limp hair, lusterless hair, or damaged hair, split ends, scanty hair, and thin hair, the list is endless! Our skin as well as hair require extra time and care as both of these are subjected to harsh chemicals through cleansing agents, pollution, chemically-grown fruits and vegetables, harsh water, stress and tension, improper nutrition, lack of proper sleep, exercise and inadequate intake of water. Thick healthy hair is possible and there are certain super foods, which, if included in your diet can help you have better health and better hair too! Pumpkin seeds are rich in zinc and this helps cellular production, cell division and growth to form keratin, a protein that makes up hair. Zinc is known to preserve the hair colour and can also be found in lentils, sesame seeds, lamb, chickpeas and oysters. 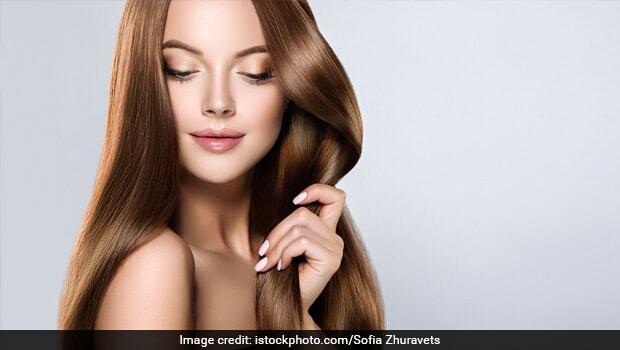 Zinc also prevents dandruff, further keeping hair fall at bay. This fruit is excellent for hair growth and thickness as it contains high amounts of copper that builds up collagen and elastin of the skin that holds the hair follicles. The copper content in shell fish, whole grains, dark leafy vegetables like spinach and methi (fenugreek),beans and legumes also helps balance the hormones so the hair grows strong and aids other reactions in the scalp that strengthen lipids in the hair. Eggs promote hair growth and not only make them thicker but stronger as well. Eggs also come loaded with a combination of protein and biotin, both of which are super nutrients for healthy hair. Fish like mackerel, salmon and herring are super foods for the hair as they are abundantly rich in omega-3 fatty acids. Salmon is loaded with vitamin D and protein, which supports strong hair and a healthy scalp. High in antioxidants, berries are a superfood for hair. The high antioxidant content helps protect hair follicles from damaging. Strawberries, blueberries, and cranberries; these robust juicy fruits are rich in vitamin C, which aids in collagen production and iron absorption, two factors that promote hair growth. A medium-sized sweet potato contains enough beta-carotene to provide more than four times your daily vitamin A needs. Include this easily available vegetable in your daily diet and see the improvement in your hair. It is one of my all time personal favourites and is full of nutrients like vitamin A and C, iron and folate. Being a great plant-based source of iron, it helps red blood cells carry oxygen throughout the body and fuels the metabolism to aid growth and repair hair damage. Vitamin A found in these dark leaves helps the skin glands produce sebum, which in turn keeps the hair and scalp moisturised and healthy. The presence of spermidine, a compound that promotes hair growth, makes soybean an absolute essential as a nutritional supplement for active hair growth. Include this in recipes with stews, soups, salads, etc. on a regular basis in your diet to see a marked improvement in hair growth. Metals and minerals have always had an effect on the body, which is why in olden days people used to eat from utensils made of silver, gold, copper and brass. I have researched and found that water kept in a copper glass overnight and consumed first thing in the morning has benefits on the hair growth and body as it provides the necessary copper content to promote hair growth and strengthen the follicles. This is a great source of protein absolutely essential for hair growth. Red meat in particular is a rich source of iron, which helps promote hair growth and should be included in your diet 3-4 times a week. So it’s very clear from the above information that I have provided you that what you eat has a great impact on your hair. Start by seeing what your diet lacks and include these simple ingredients to your recipes.